These are one of the three yummy dishes that we tried in Hawaii and I always wanted to perfect these. I already perfected the Macadamia nuts Ice cream and Macadamia nuts pan cakes which I loved over there (recipes on this blog). Generally I am not a big fan of Macadamia nuts due to high fat content which you can taste in each bite of plane nut. This bread is usually made in Hawaii with Macadamia nut, but I wanted to replace these with almonds, pistachio and cashew. You can use any fruit to make this bread, I used my banana bread recipe for the base recipe. You can make peach bread, cranberry bread, papaya bread, apple bread, using the same recipe. 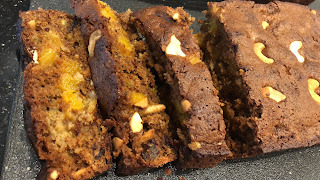 I just loved the Mango bread, so here it is. Cooking oil spray and you will need two loaf pan, I usually use my Silicone loaf pans. In a bowl mix first six dry ingredients. Set aside. In separate bowl beat eggs, oil, vanilla and mango essence. Peel and chop mango and add lemon juice to it. In the we ingredients stir in dry ingredients from first bowl. Fold in Mangoes, dates and all the nuts except cashew half that you have for garnish. Batter will be thick and sticky. 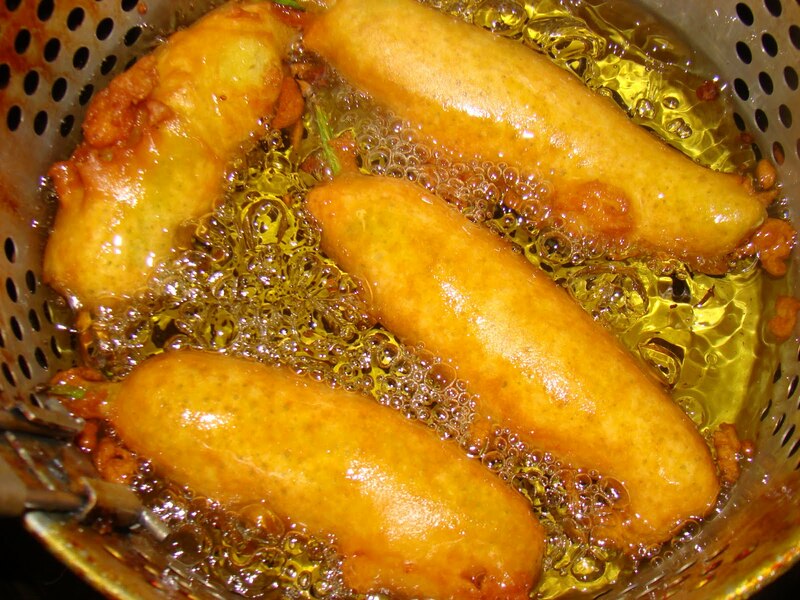 Spray the two loaf pan generously with cooking oil spray. Spoon batter in two these grease loaf pans. Cool the bread loafs in pans before removing them from pans. Transfer them on to cooling racks. I usually invert the pans so loaves come out with down side up. Then when completely cool I invert them them slice the loaves in to desired thickness slices. You can store them in air tight container safely for 2 days at room temp and up to one week in fridge.